I’m very thankful that Julie Kagawa didn’t leave us the bittersweet ending of Megan and Ash story in the 3rd book (The Iron Queen) for making this 4th . . . [drum roll] The Iron Knight! 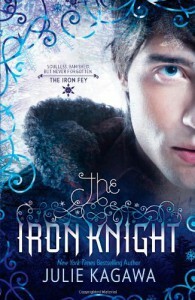 As the final installment of Iron fey series, Ash must take an impossible journey to find his way back to Megan. Since as Winter Fey he cannot survive in the Iron Kingdom and being a human is his only choice but will it be that easy to be human or more gaining a soul? Does he understand what that solution really means? Would he still want it if he did? It’s sad to see the characters and their journey that true marked in our heart comes to an end. For an amazing series I can say that this final book is almost perfect to its pure brilliance. Why almost? Because ehem I’m team Puck and I didn’t see his happy ending, what do you expect? Hell! That’s bloody broke my heart. Anyway, except to that, The Iron Knight had everything I could have asked for, maybe more. We see our Icy prince and his icy heart melted slowly from Iron King to Iron Daughter and we loved him more in the Iron Queen. But did you think that you already see all of him in those three books? Well, being said that this book is at our prince point of view we see a side of him that I don’t think many people had ever seen before. Being inside his head was so . . . different. He isn't very chatty unlike Puck, and at first his thoughts are kind of dull and focus only at his mission. Gratefully, Puck and Grim was there plus the two new members of the gang to distract him and break his icy mind and have a party with Hitler. Ok let see. Former Icy Prince + Summer Jester + “unknown” + smart-mouth cat + an irascible DOG = Dynamic. Oh maybe “syntax error”? nah! LOL So overall this book is a feast. It has twice the number of adventures, twice the humor and twice remarkable compared to the previous books. The places they been and the quest of their journey leaves me enchanted and trap to its overwhelming brilliant imagination of Julie Kagawa. 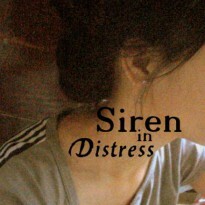 Her characters emotion strikes a chord within me. Especially the strings between Ash and Puck, their friendship is indisputable despite the tons differences they have. Oh how much I love this book. Never get me bored, emotionally satisfying, and an epic adventure. I would like to tell you more but I don’t want to spoil them so ill just shut my flat mouth. And recommend it to those who want a new perception of fairy tale for them. Julie Kagawa’s talent surely will not let you down. I promise. Big thanks to netgalley of letting me read this book in advance.